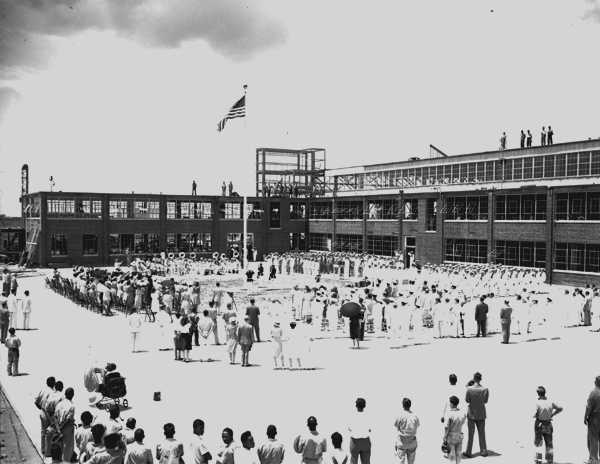 The Air Base was commissioned on July 15, 1941, in ceremonies conducted by commanding officer Lt. Freeman Cutter and attended by representatives of the Eighth Naval District in New Orleans and members of the Louisiana Congressional delegation. Cadets and Navy enlisted men stood in formation in front of the administration building, and members of the public and guests from other arms of the military looked on. At the time of its commissioning, the base was 80% complete, and much of the work had been done by WPA employees.